After attending the 2012 Permaculture Convergence in Northern California and then Geoff Lawton’s Advanced Permaculture Intensive: Earthworks, Watershed Design, & Food Forests, I was hooked on a new way of perceiving and realized the solid foundation formed in my Permaculture, Natural Resources and Surveying studies, work parties and homestead visits over the previous four years was integrating and going deeper.. I stayed a few days with some Bay area friends before heading back to Mount Shasta, but while there the familiar West Marin trails I had hiked many times before were suddenly new. I could see “keypoints” and “contour lines” and notice how water flows and trails follow patterns which shape the landscape. Nature became even more alive with a subtle, yet overpowering vibrancy that was alarming to me. It was as if I could “see” beneath the surface of the landscape into the geology, history and hydrology of what makes that land what it is. Some part of me had received a “transmission” from spending time with Geoff – a master Permaculturalist – and seeing landscape through his vision had changed how my perceptions were taking in and making sense of my natural surroundings. Could I perhaps have found my Life purpose? There was no turning back. I had become an “Earth Steward”. To me “sustainability” can also imply “maintaining a running extractive system over time” – one can sustainably exploit the Earth for somewhat consistent production. I prefer to observe and bio-mimic Nature in a way that conforms to the basic Permaculture principles – Good for Earth, Good for People and Return of Surplus (recycled back into a network/system). Truly Regenerative system design can repair degraded landscapes, while also building resilient, inter-connected elements and sub-systems on a property, retreat center or homestead. 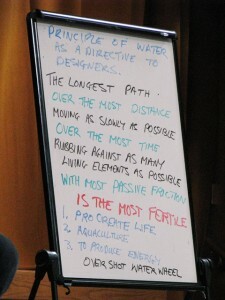 If part of a good Permaculture network design gets wiped out one year, you will still get production out of the system. If you wipe out a substantial part of a mono-cropped field, you may reap little or nothing. One element or system in a network design serves many functions and each function in the system is provided by multiple elements. “Do no harm, and let nutrition take care of the rest.” I see this statement as a great summary of Permaculture – build quality soil for “food security” and high nutrient density, do interesting, intelligent and meaningful work and have fun while you do it! How different is this from the prevailing model of taking a pill for everything. 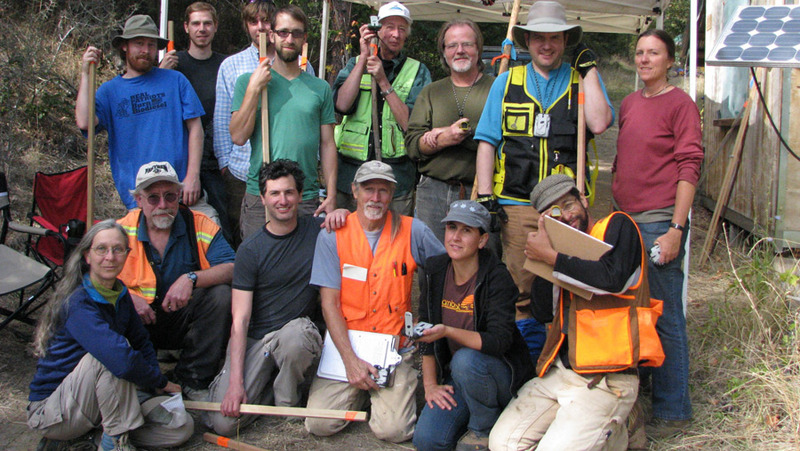 Earthworks: Available for Permaculture Walkthroughs, surveying, onsite consultations, laying out earthworks projects and Permaculture education. Goals clarification, client interviews and research services available. We can help you vision your dreams or . . .
Internet: Provide webmaster support, online marketing, SEO (search engine optimization), Google Analytics, custom programming and website development services for eco-minded companies and individuals. Also available for logistics, site setup, recording, photography, web promotions and post-event services for Permaculture, sustainability and natural building/cobb projects and organizations. Onsite Consultation, Permaculture Walkthroughs and Education. Ask me about a walkthrough of your landscape to assess its challenges, onsite resources and opportunities. What are your goals and desires and how would the land respond to them? How can a cooperative relationship be forged in which you are truly working with the land, not simply extracting from her, so it’s a mutually regenerative win-win for all? Available for onsite Permaculture Walkthroughs, introductory topical presentations and Permaculture education consultations. Click here to contact us for information and to make an appointment. Click to check out the Blog. An introduction to Permaculture principles, ethics (of “Care for Earth, Care for People and recycling surplus through the network-system), and the basics of reading landscapes. Hands-on may include building A-frames water level tools and doing basic surveying of the land with site levels to lay out simple swales. How would this swale design alter water flow and soakage in and on the landscape? We may meet again in Sept or Oct if there is interest to review and re-examine what we observed and learned and see how our ideas would influence the local vegetation and environment. Where do you start in evaluating a landscape for its potential and challenges? Once you identify major features in the landscape, how can you understand the natural flows and how to harvest and store more water in the earth? Becoming familiar with the use of basic, hand-held optical surveying tools can help you become more intimately familiar with your property. … laying out trail systems, site pads, swales, ditches or ponds, basic, inexpensive “non battery operated” tools can be employed to great advantage.